Barbecues are one of the best parts of summer! 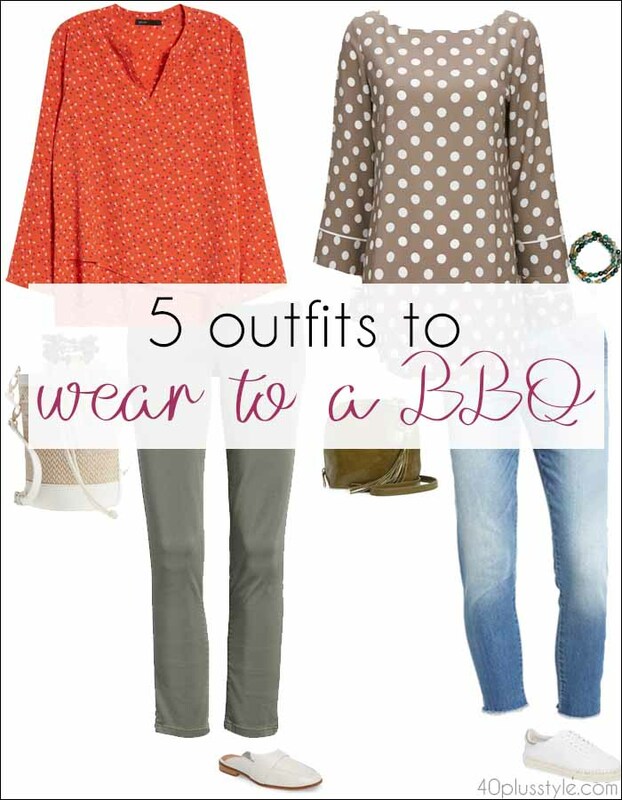 The relaxed vibe, friends, family, food, (hopefully) some sunshine… But, deciding what to wear to a bbq can be tricky. After all, you don’t want to be too dressed up, but nor do you want to look as if you’re just lounging in your own yard! Here are 7 outfit ideas to wear to a summer barbecue party. Capri pants are always a great summer style staple. Cropped pants somehow manage to be casual, yet stylish, all at the same time! Plus, flashing a little bit of ankle can add some subtle sexiness to an otherwise casual outfit. The pink hue of these Ted Baker pants brings something extra to an otherwise classic chino style. 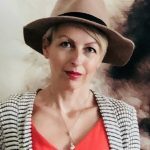 I love the combination of pinks and greens, after being inspired by some of the stylish women in this piece on 15 fabulous looks featuring green. A maxi dress can give you a more casual look than the formal style of a knee-length shift dress. Yet, swishing around in a maxi dress and a pair of sandals can somehow make you feel like an A-lister. Albeit, an A-lister attending a barbecue rather than a red carpet event! Blues combined with yellows are very on-trend this season in this look, which is ideal if the barbecue you’re invited to is a little more formal than a small backyard gathering with neighbors. I’m seeing polka dots everywhere this summer, and definitely want to add a couple of polka dot pieces to my own closet. 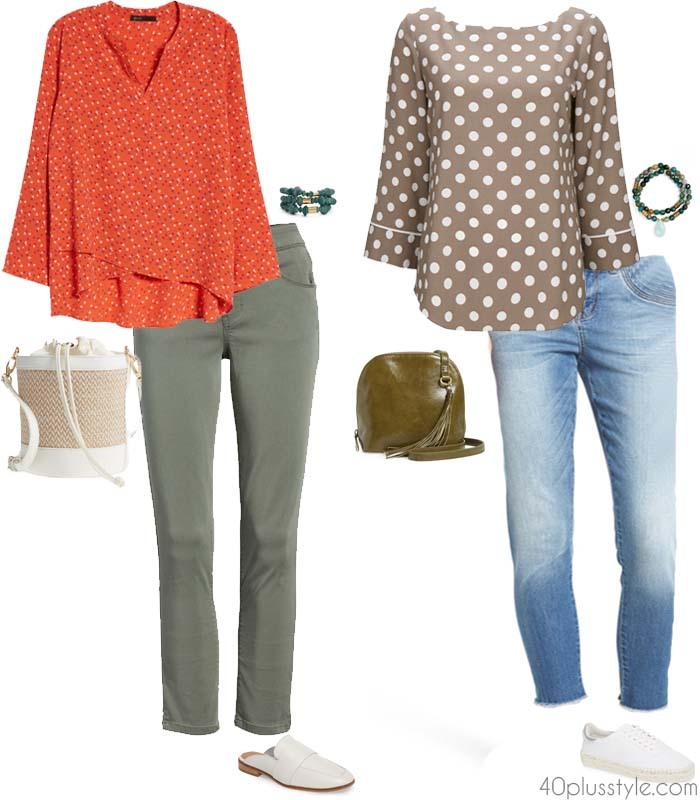 This soft taupe polka dot top is very versatile as you could wear with jeans or white pants for casual summer events, but then style with burnt oranges and forest greens as we go into fall! You can’t go wrong with jeans and a nice top for a casual barbecue. The white accessories give these thyme-colored ankle-length jeans a summer feel. Another transitional piece, you could style with sweaters and ankle booties when the weather cools down. Nothing says summer like a pretty floral dress! Boden is a great go-to for floral dresses which are not too casual, and not too dressy, but just right for a summer barbecue. The yellow shoes add a playful touch to this style. There are more ideas here on how to wear yellow. You can never go wrong with a pair of crisp, white jeans. Just as long as you don’t drip barbecue sauce down them, that is! Whites and greens look fresh for summer, combined with a pop of orange. Here are 7 more ideas on how to wear orange. Floral and patterned pants are a big trend this summer. You could pair with a plain top which picks up one of the colors in the pants. Or stick with the same color palette and mix patterns. This look mixes the subtle pattern of the stripes on the neckline of the top, with the swirling florals in the pants. The great thing about all of these looks is that they can be worn in different ways for different occasions. They will also see you through summer vacations as well as into fall and winter. When the weather gets colder you could, for example, add a thicker green sweater and ankle booties to the pink pants. Or long boots and a cardigan to the Boden dress! What do you like to wear to summer barbecues? Which of these is your favorite look? I am ashamed.. I just throw on jeans, sneakers and a shirt and be done with it. Always scared I might spill food on my good clothes. I wish i saw tjis articlw beforw my company amnual vompany pinic. I ended hup wearing capri olive green long sleeve shirt and sneakers. I looked like i was trying.We took group pictire. Iam usually dressedcnicley bevause iam receptioist. I could worn kati capri with beautiful top. I had a maxi dress almoat like on in article. Polk dots and shirt and jeans and ballet flats. 4. Jeans cute top. 5. I got beautiful gteen drrss i could worn pink assorites. 5. I got brand new white jeans i could worn with green blose. 7. Nice shirt amd printed pants and shirt. I have all these items in my closet already. I just didmt think wearing it. I didnt want rick spilling stuff in my clothes or gettin it dirty. I wish i saw article because i could worn jeans and noce top. I still could. Looked cute and comfortable.Pictute would look better. After reading your article i will be ccute and comfortable and fashionable at next bbq. Iam aleady planning my outfit for next year compny pinic. I wish i saw this article before i when to my company annual pinic. I ened up wearing a capri and long sleeve shirt. I looked homey like i wasnt try. I usually am dressed nice beause i am the receptioist. For the cookout i could still been dressed cute comfortable. Instead i ended up looking homey and like i was even trying. Next post: How to wear stripes like a pro!